Stay connected with your field staff with dedicated suite of tools for employee location tracking, task monitoring, attendance management and more. Use your smartphone to manage your remote team, assign tasks, monitor progress, and track the location of your field staff in real time. Improve the productivity of your remote team, and increase their performance without spending huge amount on tools for field staff monitoring with help of our GPS Tracking Software. Say goodbye to the hassles of managing a remote team. 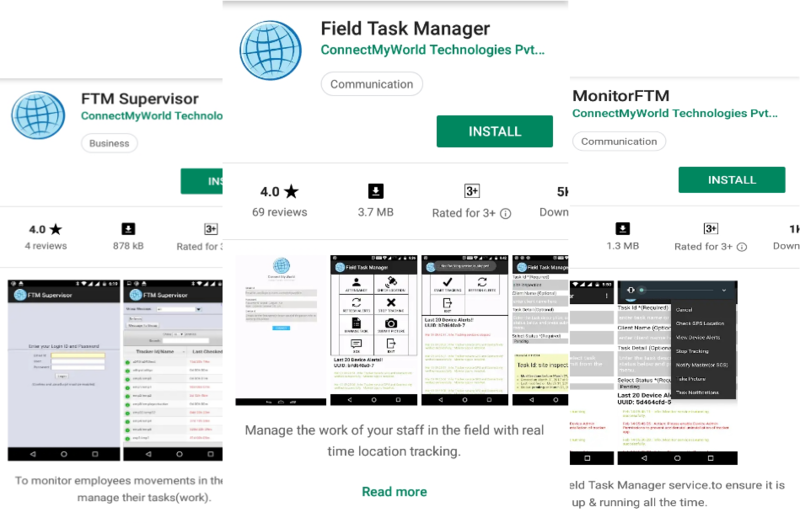 ConnectMyWorld brings to you a comprehensive set of solutions for field staff monitoring, task management and much more. Designed after extensive research and brainstorming, ConnectMyWorld’s GPS tracking suite features a wide range of tools that enable you to manage your field staff from your smartphone. With a wide range of tools like GPS tracking of employees in real time, task allocation and monitoring, schedule management etc. ConnectMyWorld helps you increase your team’s efficiency and performance easily. All of this, and so much more comes without any extensive investment in GPS hardware and dedicated devices. You can operate the app directly from your Android device. When we set out to make ConnectMyWorld, we had one vision – “to create a field staff managing assistant that delivers maximum utility with minimum frills”. Continuing on our vision, we laid complete focus on the performance of the tools instead of their visual appeal. In our opinion, Simplicity yields the best results. After extensive brainstorming, we identified the key pain points that managers of remote teams face on a daily basis. ConnectMyWorld is the solution of all those and more hassles that you encounter with your field staff. 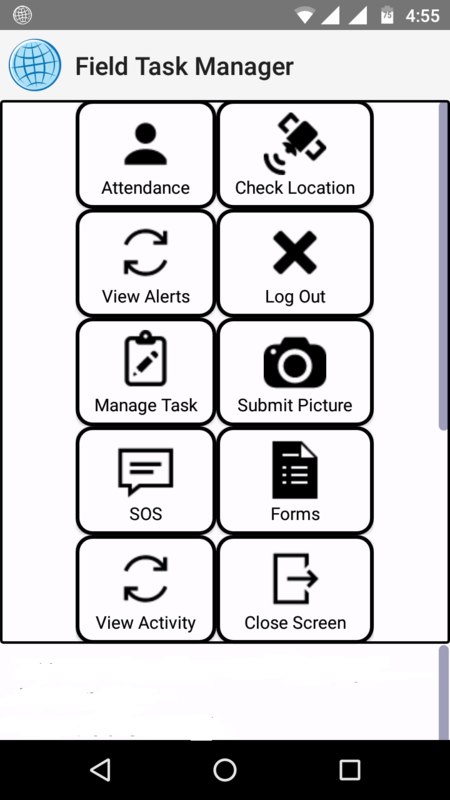 From managing attendance and work hours to monitoring task progress and live location in real time, this one app brings everything together for you. ConnectMyWorld is your one stop solution for remote team management , employee tracking and customized data collection. Our GPS driven suite can be operated on any handheld Android device. Using ConnectMyWorld is super easy and hassle free. All you need to is register on our website, and you’re ready to go! The simple and stripped app makes operating it super easy. Our services come with complete quality assurance. Highly efficient solutions, easy to use interface, cost effective packages, and 24×7 support – We’ve got everything covered! Don’t just take our word for how amazing ConnectMyWorld is. Download the app on your Android device and experience the boost in performance and efficiency of your team. Register on our website with a valid email ID and get two week free trial of our Field Staff Tracking suite.